Welcome to the new Bob Cut Mag interface, as we began to grow in contributors our old CMS could not handle the amount of content we were pushing daily so what better choice than to switch to something that is even chicer and can handle our baggage. The itch to continue to serve beautiful content on the daily needed a site that could easily and beautifully display it all. The hard work of our editors needs not to go unnoticed. So here we are, a gorgeous design, full frame images, and a reading experience that will leave you speechless. Gorgeous content sorted neatly into 4 categories. No more searching through the depths of our tags to find the post you needed. A search bar that actually searches... Yeah, shocking no? Instant access to authors, we gotta honor our writers! More interactivity on the main page — can someone say giveaways? An easier way to purchase our magazine without having to dig around. A shop tab is definitely in our future. 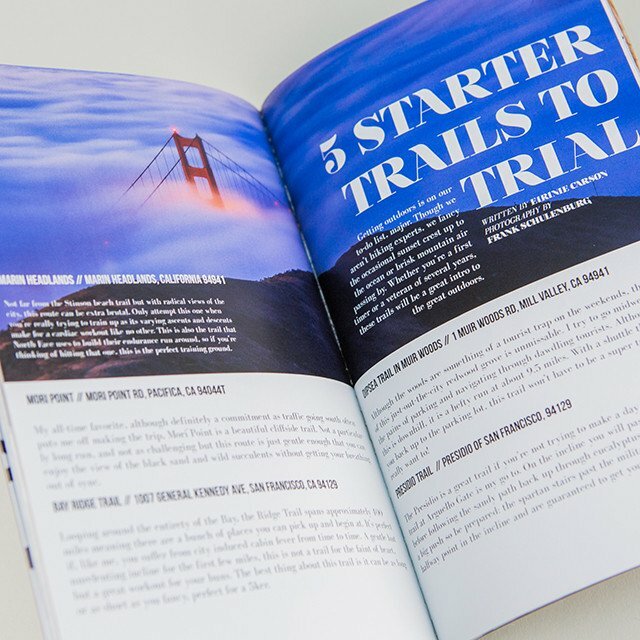 While we believe this new iteration of Bob Cut Mag will help us continue to grow and evolve with rapidly changing times, our ultimate goal is to improve your experience not just of Bob Cut but of life here in the Bay Area—our mission is to put the best of the region right at your fingertips, no matter where you roam. Here's to looking beautiful. Photo by Ashley Tarr.